You land at a foreign airport, catch an Uber into town and check into your Airbnb. The sharing economy is becoming more prominent in society - but is it really a force for good or just the same old business as usual? It is a controversial topic that will be tackled at Bozar in Brussels this Thursday evening in a thought-provoking debate entitled: "Let's get real. The sharing economy is not about sharing." A sharing economy is defined as individuals sharing their resources and assets with one another for a price, usually online. People can use their own capital to make a profit, but many times they take responsibility for all the risk. Four experts in the topic - split into two opposing teams - will take to the floor for strictly timed interventions in an effort to convince the audience of their position for or against the motion. Audience members will vote at the beginning and again at the end on how they feel about the issue. Among the experts on the stage will be Steve Keen, chief economist at the Institute for Dynamic Economic Analysis and Head of the School of Economics, History and Politics at Kingston University London. He says the sharing economy is anything but sharing: "While most companies are ripping off their employees, they are also making them take the fluctuations in risk while paying them crappy wages. It’s not only an exploiting economy, it’s a step toward an economy with no workers at all." Judith Wallenstein disagrees. 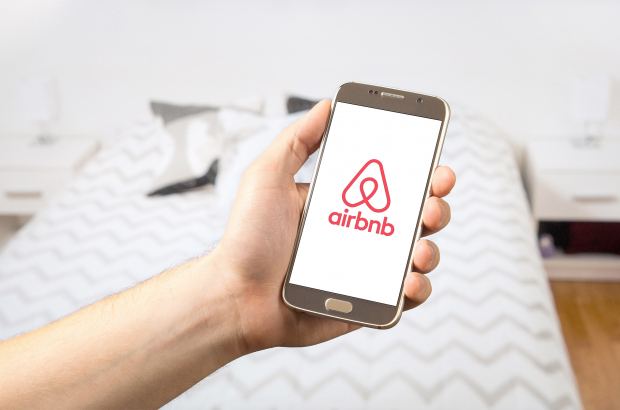 A senior partner at Boston Consulting Group and head of the BCG Henderson Institute in Europe, she says the sharing economy creates "real opportunities" like never before, a view backed by fellow participant Juliet Schor, Professor of Sociology at Boston College. Also speaking will be Michel Bauwens, a Belgian peer-to-peer theorist and researcher who has written extensively on technology and business innovation, and Jamie Bartlett, director of the Centre for the Analysis of Social Media at UK thinktank Demos. The debate is organised by Full Circle, a Brussels-based NGO that aims to take on large topics in society and create a place for ideas to be exchanged in intellectual discussion and debate. "It’s nice to learn other angles,” says Full Circle co-founder Louise Hilditch. "This is a chance to speak to people who may not agree with you, and that is always good from time to time." The goal of this debate is to help people become more conscious of big issues in the world, and recognise the way they impact society: "When you leave, you may not have your mind made up one way or the other, but you’ll have a much better understanding of what issues are at stake for the people involved." Come out on Thursday evening (8 March) to learn more about how the up-and-coming sharing economy is impacting you. The debate at Bozar begins at 20.00. Tickets can be bought online for €7. I am part of the sharing and/or self-employed economy. The problem is not that the gig economy, as it is sometimes also called, is bad, its that people are not able to command a fully loaded price for those services. The gig economy was meant to help people bring in some extra income by making use of things or skills they have available, already. But, it has become commercial and a race to the lowest possible price. Hence, people may cut corners on insurance cover, under declare income, lose out on pension and social security/tax income. If you look at plumbers in the gig economy in Belgium, the rate they earn through the platforms helping them connect with clients, is 40% less than they would earn directly - but everyone is going gig and the plimbers are forced to work six or even seven days each week to cover all personal and legal financial obligations. We have not found the right balance, of what ever is missing, to ensure the gig economy works for everyone and I mean everyone. Hotels have forced short term rent companies to charge an extra tax on rentals less than there months - but hotels do not pay this same tax and do not take bookings for three months as a standard. Legislation and lobbying are out of step with the reality and equality.